James Gallagher’s daughter worried he was too unsteady to hold his grandchildren, and that finally sent James on the search for what ailed him. “I just wanted to hold them,” he says, apologizing as his voice cracks with emotion. 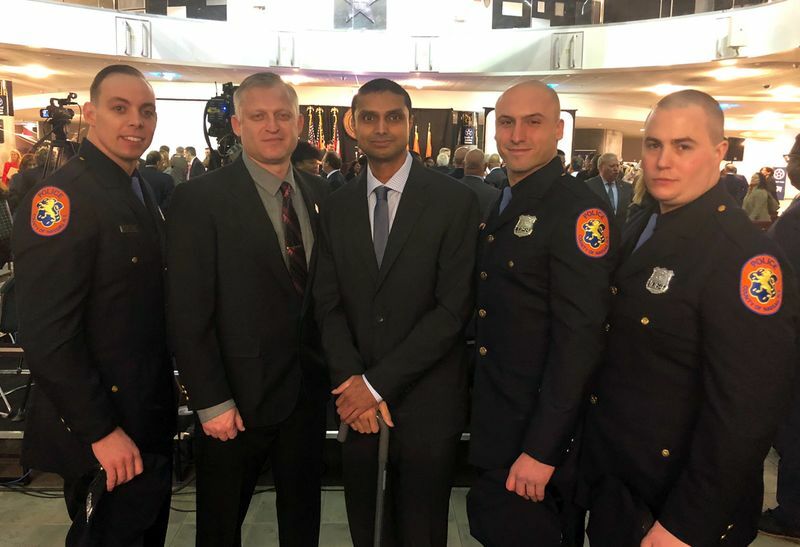 The 70-year-old former teacher from Farmingdale had been steadily losing muscle strength and balance. On a trip to France, he found that the steps of the Eiffel Tower were too much for him. A trip to Costa Rica a year later left him lagging behind others. He shuffled and had slurred speech. 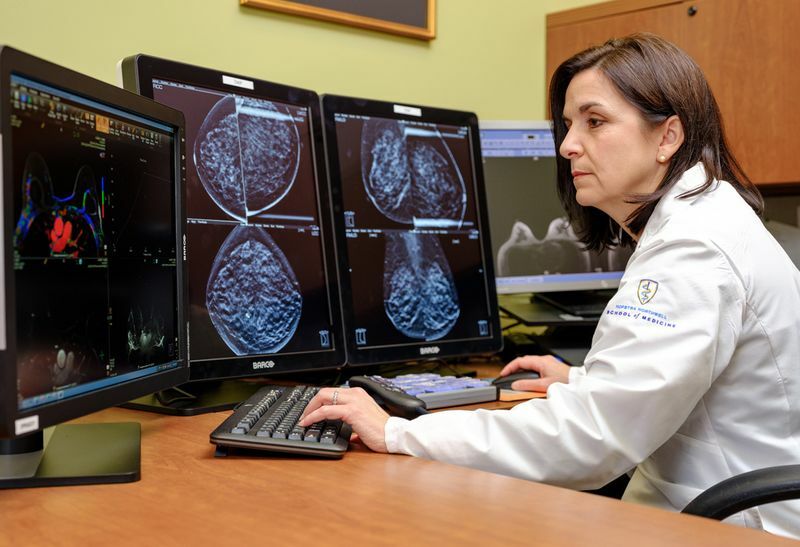 From the hospital’s perspective, this is advanced technology that really helps patients recover faster. It’s been incredible. Doctors discovered James had fluid on his brain and implanted a shunt to drain it. While he was steadier, he still struggled to walk more than 20 steps. 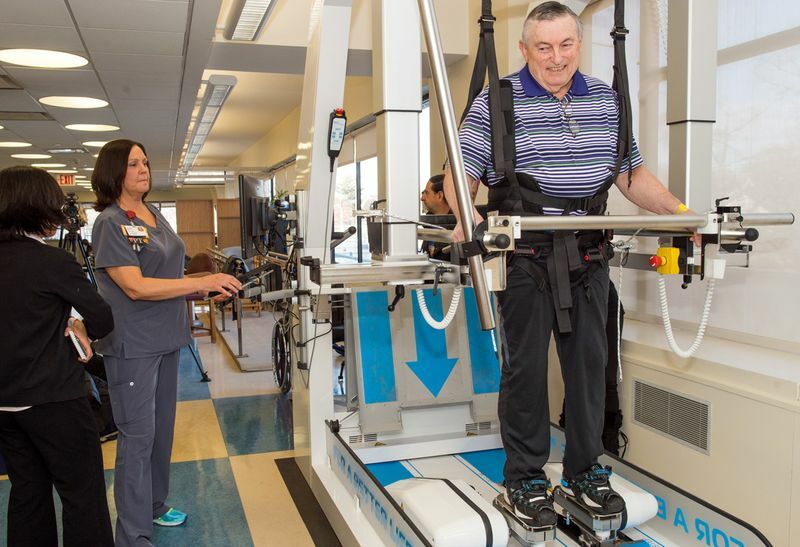 In rehabilitation at Glen Cove Hospital, James started walking with help from the G-EO SystemTM robotic-assisted device, which supports patients with a harness while they walk or climb simulated steps to improve their gait. Just two weeks of three-times-a-week 30-minute sessions enabled James to walk away. The G-EO System was made possible by a generous and transformative bequest for rehabilitative services from longtime Glen Cove Hospital volunteer Elsie Wunsch. Paid for entirely with Elsie’s donation, it is the only one in New York State. “Without her, we probably would not have been able to purchase the G-EO System,” says Susan Kwiatek, Glen Cove’s executive director. “To that end, donors are very important, especially to a small community hospital.